In the latest blog, I have explained the great potential of Indonesian market using the smartphone penetration rate and population composition in Indonesia. This time, I will talk from the app marketing standpoint. 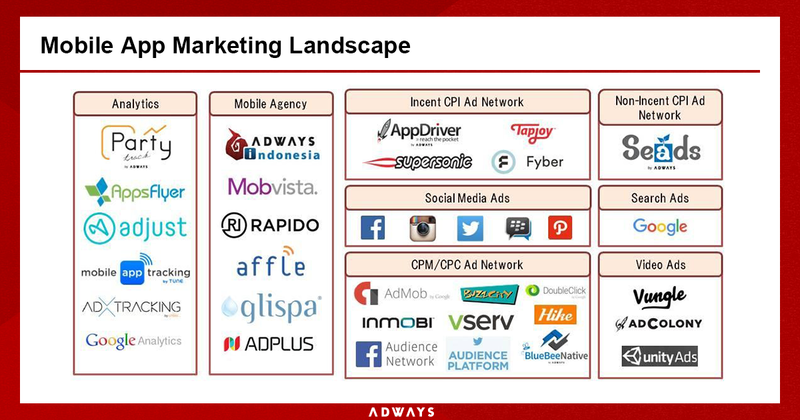 In current Indonesian market, there are not so many app marketers like Adways who has its branch in the country, instead a lot of companies place their head office in Singapore and try to cover Indonesian market from there which might lead to potential lack of understanding of the market trend. Out of all the advertisement options, Mobile CPI advertisement is a high demand service of app marketing in Asia, and it is classified into two types, incentive advertising and non-incentive advertising. Both types have strengths and weaknesses. Incentive advertising can gain users by low CPI, however, the user quality tends to be poorer. On the other hand, Non-incentive advertising tends to be high on CPI, yet it can acquire high-quality users. What sets good users here is the user retention rate. Most of the game developers are measuring the user retention rate from the changes in a number of the users of the day after the app is installed, a week after, and a month after. 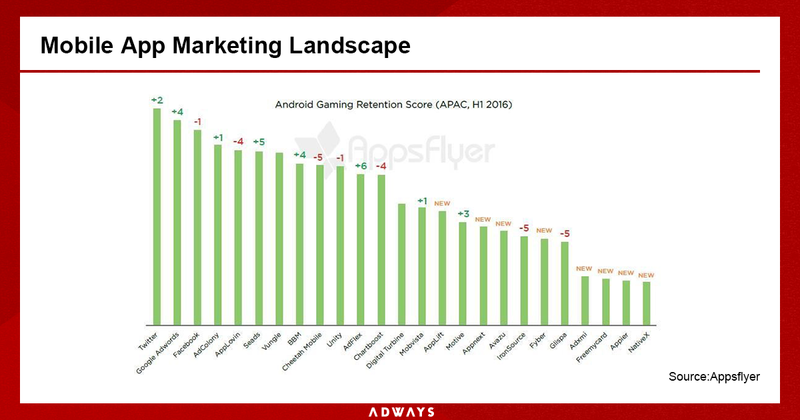 The below is the retention ranking provided by Appsflyer, a mobile advertising attribution and analytics company. The top 3 companies, Twitter, Google Adwords, and Facebook are well known mega-media. Following 4th and 5th media, Ad Colony and App Lovin, are famous in Europe and The United States, and the next 6th and 8th advertising media, Seads and BBM have a strong influence in Southeast Asia. Seads is Adways’ non-incentive advertising ad network service, mainly operating in Southeast Asia. BBM has a head office in Canada thus it is little known that their largest market is, in fact, Indonesia. In addition, BBM is the most popular messaging application in Indonesia. the number of Indonesian users alone is estimated to be over 54 million. Stay tuned for the next chapter to find out the situations of infrastructures around mobile industry in Indonesia!